The Prisoner landed on British TV in 1967, but I was oblivious until some mid-1970s repeats and an article in Comics Unlimited which made the show sound like the most exasperating brainstorm going. The same cycle probably helped spur Marvel Comics to prepare a The Prisoner comic in 1976, and maybe nothing captures the state of Marvel in 1976 better than the fact it somehow ended up with two different first-issues of the series before publishing neither of them. 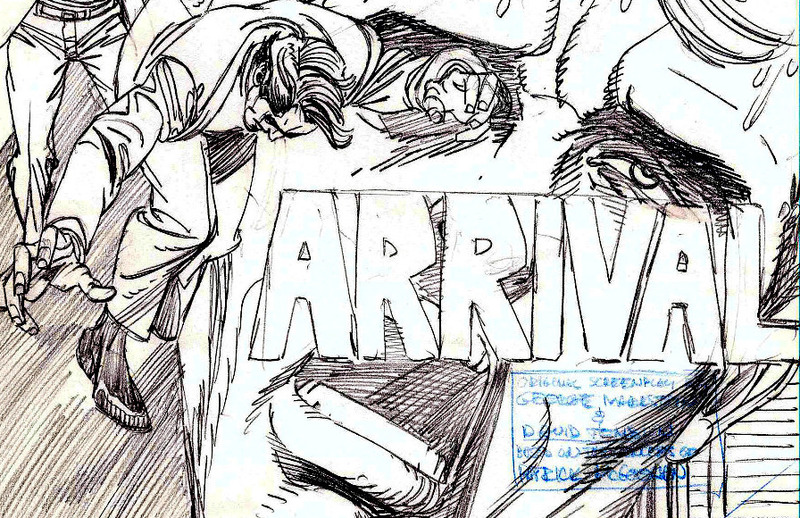 Titan Books has now collected the original pencil art for both aborted versions, one by Jack Kirby and Mike Royer, the other drawn by Gil Kane (plus apparently Joe Staton) and written by Steve Englehart. The results are not milestones for anyone involved, but Kirby’s mid-1970s style is endlessly fascinating to stare at, and Kane’s aggressive cartooning makes the show look like it was dreamed up by Sam Fuller. I reviewed the book for Tripwire. Alex Cox wrote a typically puckish analysis of The Prisoner last year, which I reviewed for Sight & Sound magazine and discussed a bit here. He reaches some conclusions which would probably never have occurred to anyone at Marvel, or possibly anyone watching the show.